Manufactured with a wooden outer casing and containing approximately. 500 sheets of white offset paper, these memo holders offer a traditional alternative to the plastic versions. 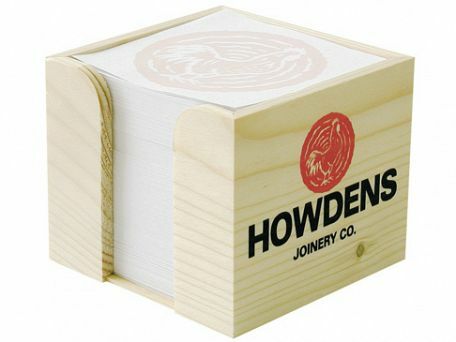 Appreciated by one and all, this desktop accessory is sure to work wonders for your brand building exercise.